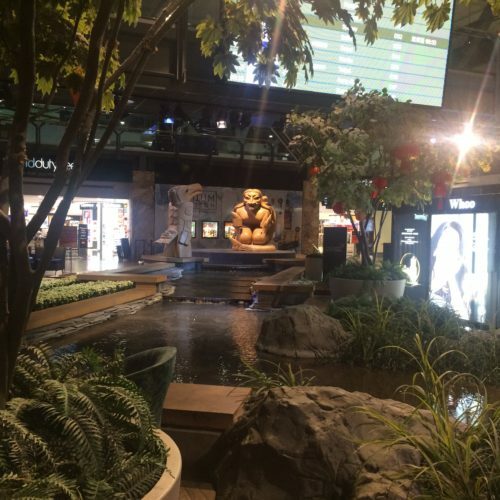 ✅ Trip Verified | 17 April 2019, we traveled from Adelaide, Australia, via Auckland, New Zealand, through YVR around 2pm to Calgary. We are almost 80 years old. 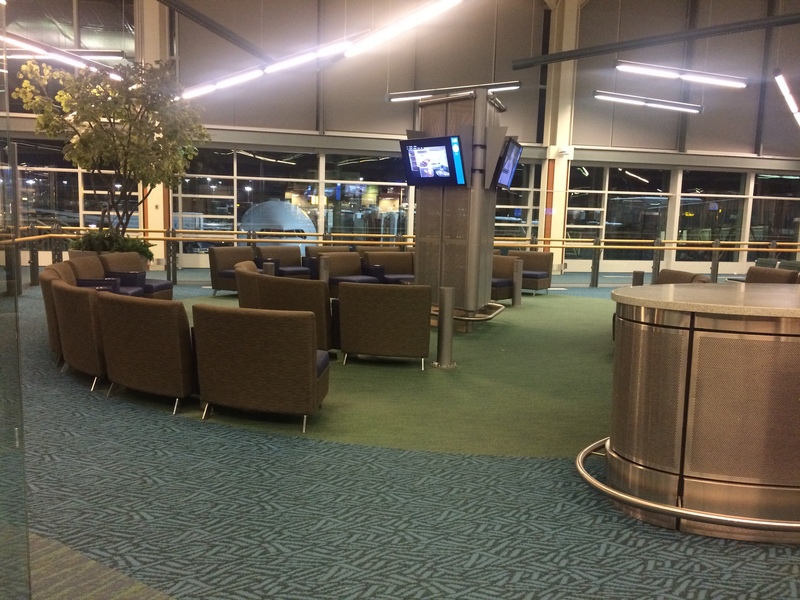 We had been traveling 24 hours when we reached YVR. In all previous security checks on our journey we had been dealt with expeditiously with no problems. The service at security in Terminal C was an absolute disgrace. Firstly we were traveling Business Class but the first agent did not recognize Air New Zealand boarding passes and we were directed through the general lane. Secondly agent was exceptionally inefficient directing people to appropriate lines. He appeared completely disinterested and slowed down the whole process. 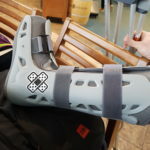 Thirdly we were sent to line 7 for which the X ray scanner was taking about 3 minutes per item. Our time in processing was around 40 minutes. We were not the only people exceptionally frustrated. Others complained. Finally I asked who was the person in charge. He said his name but would not give his last name. He was with a group of agents who were just standing around talking and not making any efforts to speed the process. He should certainly not be running the operation if he cannot do things better. 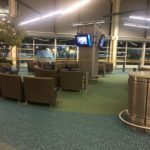 This experience at YVR was a disgrace to Canada. We have traveled extensively, including through LAX which is bad, but YVR should be avoided at all costs. 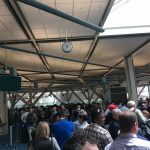 "Taxi line always long and slow"
Not Verified | Taxi line here is always long and slow. For some odd reason, taxis don’t wait at the taxi line. They wait a few minutes drive away and only come 5 at a time. This is by far the worst taxi lineup I have experienced at any airport anywhere. It’s ridiculous. As a result, passengers who know speed walk (and some literally run) off airplanes to get to the taxi line first. 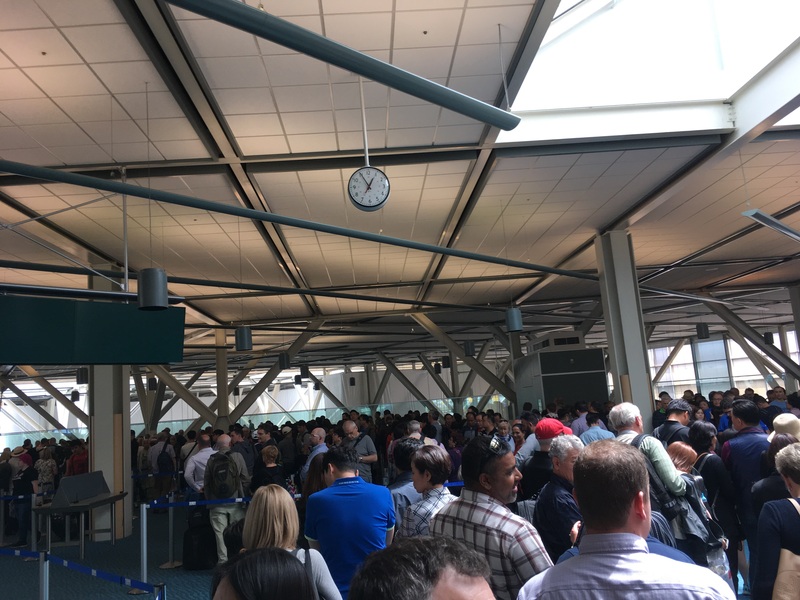 "One hour and 25 minutes"
Not Verified | One hour and 25 minutes from AF374 plane landing early afternoon Mar 17 2019 until final group of baggage arrived on the carousel. (They did announce an apology for baggage delay after 1 hour). Enough said. ✅ Trip Verified | Poor customer service for travellers with disabilities. YVR is a large airport, crutching along with a broken leg from international to domestic is no easy task. Not a single customer service employee came to my aid to offer assistance. Coming from Acapulco &; Mexico City there were customer service employees waiting for me pre and post flights with my name and a wheelchair ready to wheel me through security & to the next gate for flight. Customer Service in Mexico 10/10, Vancouver YVR 0/10. ✅ Trip Verified | Spacious and tidy airport with varied and extensive shopping and dining opportunities. Children's play areas, art works, big and clean signage - all abound. Free wi-fi, lots of seating, clean toilets. I arrived quite late at night - after midnight. Without checked luggage I was able to exit the airport without any delay. Cabs waited in line outside the terminal - they accept credit cards. On return, I arrived a bit early because of bad weather. Thus, I had time to walk around to explore the airport. I was impressed. Shops carried local Native Canadian art work and there were both fast food and more formal eateries. 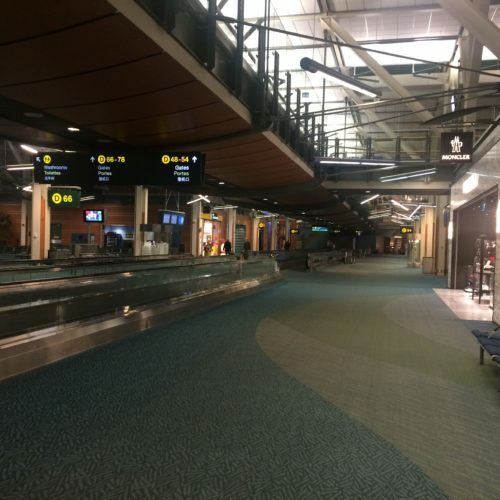 Like many other Canadian airports, Vancouver also provides pre-clearance immigration and customs entry into the U.S. However, for the flight I was taking, because it left after 10 pm, this service was not available. I was directed to another gate on the other side of the terminal. I ended up doing the immigration and customs at my destination in JFK - as with everyone else on my flight. Security check was similar to the US and was unhurried - at that time I was the only person undergoing a check! Once you are through the security area, you are greeted with numerous shops. 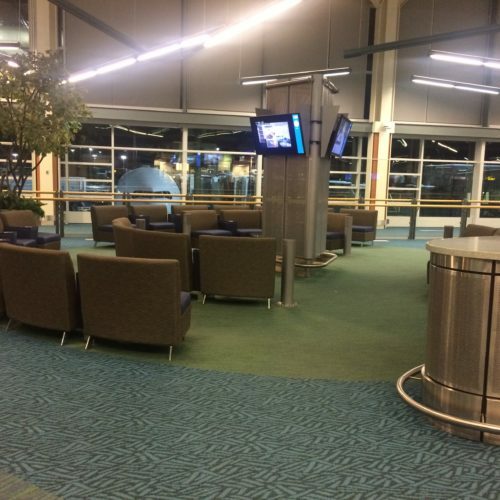 A wonderful airport - large floor to ceiling glass panels offer beautiful views. I generated the boarding pass and the lounge pass from a vending machine. 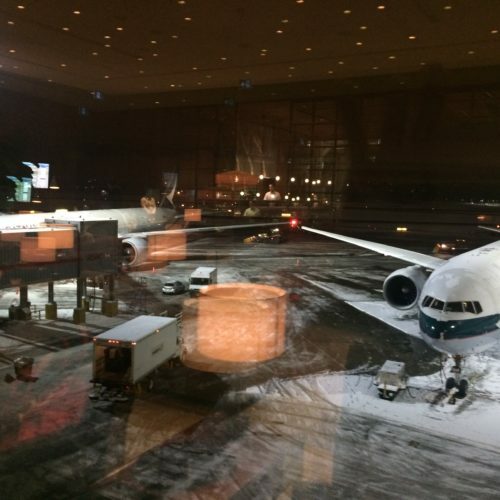 I used the Cathay Pacific lounge which is on one floor above. Again, great views. Lounge hours are limited to arrival and departure of the company's flights. Staff generally friendly and greet you in both English and French. ✅ Trip Verified | Worst passport control and transit experience in the world. Staff only confuse while moving people from line to line until you take that awful bus ride. Fix this broken system. Not Verified | Worst experience ever. The customs questioned me for an hour and made me miss my flight! Now in midnight I am still waiting for transit flight. I was going to Chicago as a visitor, holding Canadian passport. The officers suggested that I wanted to emigrate to US, just because I don't currently have a job. Reactions are very rude! I told them I will be supported by my parents, they asked many personal and nonsense questions, including do I live with my girlfriend, and what's my parents' job, suspecting how much they earn. I just don't understand! Do parents need to be millionaires to support their own child's basic living expenses? Asking me for I-20 when I am no longer F1 student. Luckily I brought it with me. And later told me that I don't need to show it to them. Maybe it's their job to ask questions, but they had no right to judge people. Especially when they knew that I had worked before, but because of my current status, I cannot work in US. Finally, they called me the last time and let me go, when it's five minutes after my departure time. No apology. My airplane was gone. Truly awful experience! "some of the worst I've ever experienced"
✅ Trip Verified | I arrived from San Francisco, USA. Not a busy day at the airport, arriving on a Dash 8 Q-400 (not a very large plane). Maybe 1 or two other airplanes unloading passengers and all that. I only had carry-on luggage and still it took ages to get through the security alone. Everyone was forced to be in a rather limited area of the arrivals "kiosk security/whatever" area. Standing in what more and more became a chaotic line as there were very poor instructions or any hints of where to go and what to do. Everyone waiting to find an empty kiosk where you had your photo taken and answered all sorts of questions regarding your stay. I was lucky since I was just travelling by myself, but others were families or single mothers with 3-4 children (trying to get a decent photo, and getting rudely told to get back to a kiosk by a staff if it wasn't up to some sort of weird standard). No signals or signs to see which kiosk was available or not, those further away were all empty since nobody saw them in the first place from where the line was entering that area. This was for all non-Canadians. After finishing that chaotic mess I was even confused and walking in circles for a bit to figure out where to head off next. Finally did and handed my passport and a receipt-like ticket with the photo and questions and answers I just did at those kiosks. Only to have the security person ask me MORE and even the same questions I already answered. To top things off, rather weird personal questions also ("why aren't you staying with your friend while visiting." "Who do you work for?" "why does your shirt have that tag on it?"). Aside from long distances to and from everywhere. Food was mediocre, wifi good. But the important travel-related stuff some of the worst I've ever experienced, even when arriving as an international in the USA. Admittedly rather lucky with my travels usually, but seeing the chaos and frustration in fellow arrivals. Some almost in tears from being returned to those damn kiosks a 3rd or 4th time, with their children crying and screaming) was very telling. 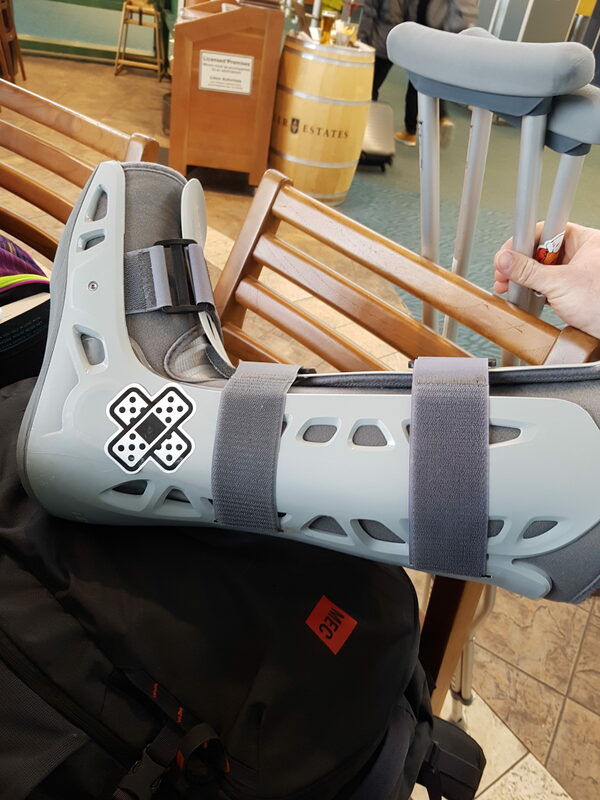 ✅ Trip Verified | On our connecting flight to Calgary, we knew we were going to go to another security check which is understandable and appreciated. Being on our last leg of our very long and tiring day, I was not as prompt anymore. I was asked for my boarding pass, which I handed over to this young man. And while I was putting back by passport in my bag since I wanted to get my stuff ready for inspection I heard him say, "hello, hello" while waving my boarding pass in front of my face. I said I was sorry that I didn't hear him because it has been a long day, but I don't know if he was having a bad day or what, but in his mind it was okay to sneer back and say, "And I have been waiting for you the whole day to get your boarding pass back...duh." I ignored him. I was truly not impressed. I understand that security needs to act with authority but I think they are mislead that authority equals rudeness and worse, acting like a uniformed bully. I have been in many flights, in many security checks, but this so far tops the rudeness chart. Train, re-train personnel. "an airport to be avoided"
Not Verified | This airport can be summed up as “Rip Off City” with regard the food and refreshments on the departure side. On the arrivals side and for such a small airport the baggage reclaim is awful, wait wait and wait again. The airport has been designed to be asthetically pleasing, the services are apparently designed to be as frustrating as possible to the passenges, very long distances from security to gates, minimal facilities and marginal services. For a one of trip it might be acceptable but for the frequent traveller its an airport to be avoided.